The sooner you start saving for retirement; the better off you will be when it's time to "clock out" from work for the last time. Don't sabotage yourself by investing poorly. Compound interest works wonders the more you invest. For instance, if a 25-year old man invests $320 a month at a 7% annual rate of return until he turned 65, he will have $1 million at retirement. Even if you are 45 years old, if you put away $1,000 a month (at a 7% annual compound rate of return), then you would have nearly $500,000 at age 65. So, it's never too late to begin the process. Allow us to help you make the best choices. 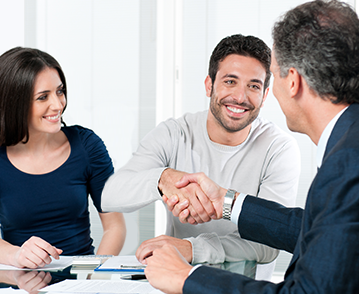 We provide personalized planning services for customers in all stages of life. In addition, we are fee-based and do not work on commissions. That means you can trust us to help you grow your nest egg while protecting your principal. With so many choices—stocks, bonds, mutual funds, and other investment options—it's hard to determine the best way to invest money in your 401(k). If you are employed, more than likely, your employer has offered a 401(k) to you. Instead of depending on preset plans to guide you in investing, turn to our financial advisor for 401(k) planning. Based on your needs and other important factors, we'll set up a personalized retirement plan that ensures you are secure during your Golden Years. If you expect to be in a higher tax bracket when you retire—that is, you'll actually make more money—then congratulations. You're investing wisely. Unlike a traditional IRA (Individual Retirement Account), a Roth IRA is not taxed when you begin to make withdrawals. That's because you pay the taxes when you invest. This investment vehicle could be right for you. At the same, time you may be in a lower tax bracket when you retire, but you want a reliable revenue stream that is tax-free. If so, a Roth IRA is ideal. Whether you are a few years from retirement or you want to take advantage of an IRA rollover, which transfers funds from your 401(k), you can depend on our team to make the transition a smooth one. Allow us to walk you through the planning stages. Contact us to start planning for a bright financial future. We offer Retirement Planning for all clients living in the great state of Missouri.